The ToughBuilt FoamFit Rocker Knee Pads redefine how professionals use their Knee Pads. Hard-wearing, shatter-resistant SnapShell protects the knee on the roughest terrain while enabling easy side-to-side movement. Ergonomic foam design embraces the natural shape of the knee and upper shin, maximizing pressure distribution for all-day comfort. High side walls greatly reduce twisting off of the knee. EVA elastic leg straps comfortably hold their place without cutting off circulation or binding behind the knee. 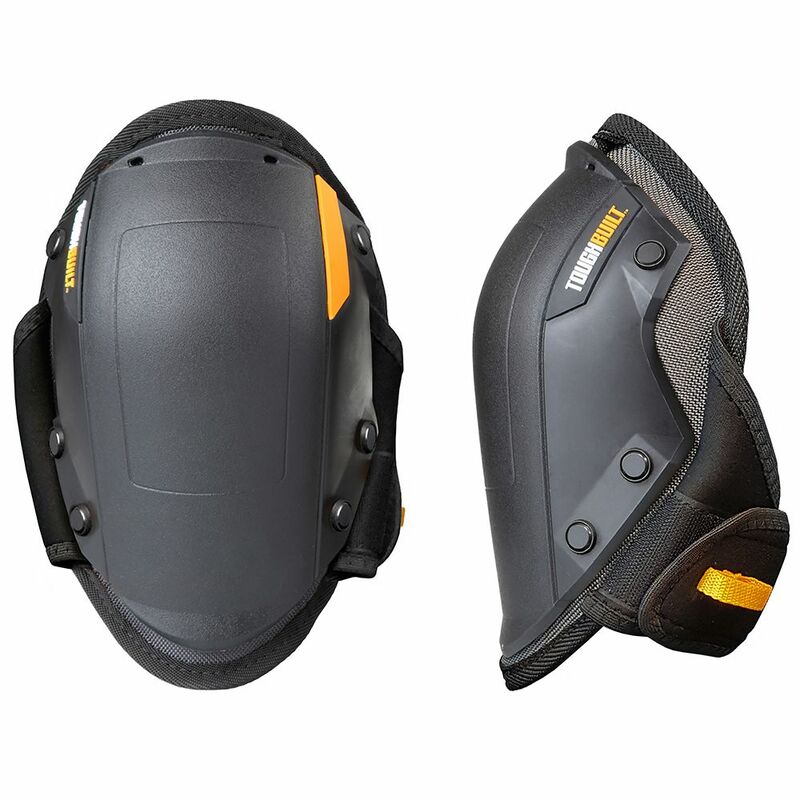 Rugged materials and construction make these reliable Knee Pads withstand the most rigorous working conditions. Holmes Bucket Tool Bag turns a regular 5-gallon bucket into a convenient tool storage unit. The bucket bag features 30 exterior pockets and tool loops to ensure you can fit tools of all shapes and sizes. Its heavy duty 1680D polyester construction will ensure durability and longevity for your tool bag. The ToughBuilt SoftBox Cube 2-Pack simplifies storage for small supplies.Featuring a heavy-duty mesh window, and a wide, zippered opening, these SoftBoxes provide superior visibility and accessibility. Label windows make organization a breeze. Made with rugged, structured sides, these SoftBoxes withstand the most rigorous work environments. The ToughBuilt Fastener Bag 3-Pack simplifies storage of supplies. Heavy-duty mesh windows all ow you to see everything inside making organization simple. Features hanging grommets and convenient carry straps. Wide, top-mounted zippered openings allow easy access. Made with heavy-duty materials and construction, these Fastener Bags withstand the most rigorous work environments. FoamFit Rocker Knee Pads The ToughBuilt FoamFit Rocker Knee Pads redefine how professionals use their Knee Pads. Hard-wearing, shatter-resistant SnapShell protects the knee on the roughest terrain while enabling easy side-to-side movement. Ergonomic foam design embraces the natural shape of the knee and upper shin, maximizing pressure distribution for all-day comfort. High side walls greatly reduce twisting off of the knee. EVA elastic leg straps comfortably hold their place without cutting off circulation or binding behind the knee. Rugged materials and construction make these reliable Knee Pads withstand the most rigorous working conditions. FoamFit Rocker Knee Pads is rated 4.3 out of 5 by 4. Rated 4 out of 5 by HomeDepotCustomer from These were just what I expected and worked well for... These were just what I expected and worked well for my purposes. They are very tough and the plastic seems scratch resistant to some degree. The foam is also very comfortable.